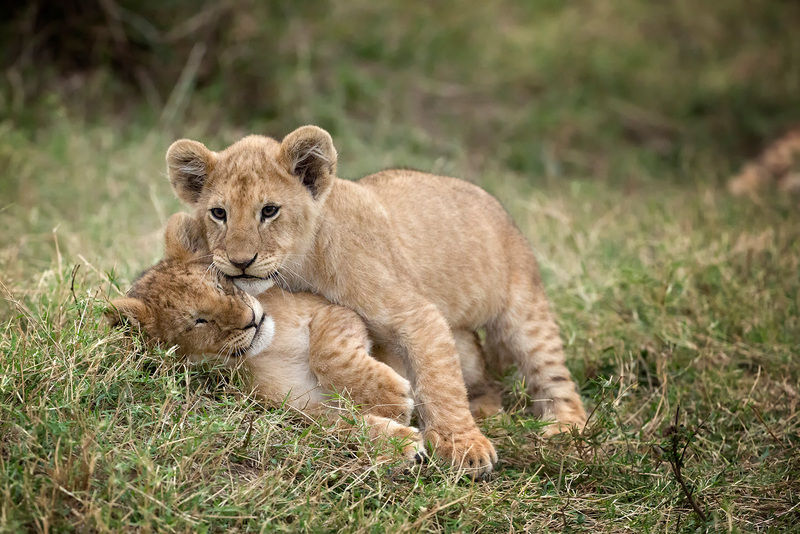 Many wonderful game reserves exist within Africa but the Olare Motorogi located (within the Mara Conservancy) and the Naboisho Conservancy (located adjacent to the Masai Mara National Reserve) are truly exceptional. The Olare Motorogi is actually the first private Conservancy within the Masai Mara eco-system and with its strict limit on bed numbers offers a unique Safari experience. Wildlife is plentiful in the 35,000 acres of rolling grasslands, hills, escarpments and Motorogi plains. The Mara Naboisho Conservancy is 50,000 acres. Both conservancies offer generous personal space and freedom. 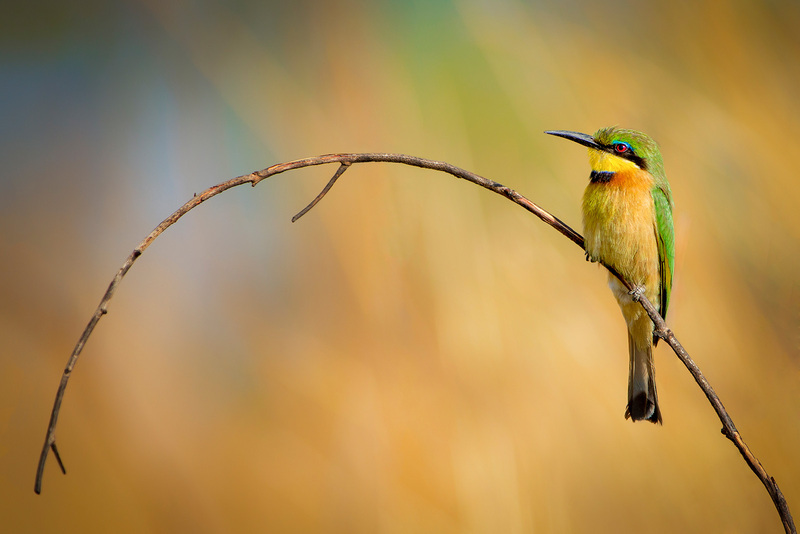 Combine this with a high concentration of wildlife, visitors are able to obtain exceptional wildlife encounters. Both conservancies strictly monitor the number of tourists in the area and therefore reduce the number of vehicles and human impact on the environment and wildlife. The Kicheche Camps in both conservancies are second to none. They are hosted by wonderful people who take a great deal of pride in running a friendly, relaxed yet luxurious camp in amongst the wilderness. The camps themselves have 6 amazing tents complete with ensuite and good solar electricity. There is Wi-Fi access and charging outlets in the main common tent. At the end of a great day out on the plains it is wonderful to return to camp to enjoy a lovely hot ‘bucket’ shower before being escorted back to the main camp where you can sit by an open fire enjoying a pre-dinner drink before taking part in a 3-course gourmet dinner. In the morning, your early morning wake up call comes complete with your order of hot tea or coffee and a biscuit served to you in your private tent. We will have exclusive use of 2 vehicles (maximum 4 participants in a vehicle) and a maximum of 7 participants in total. 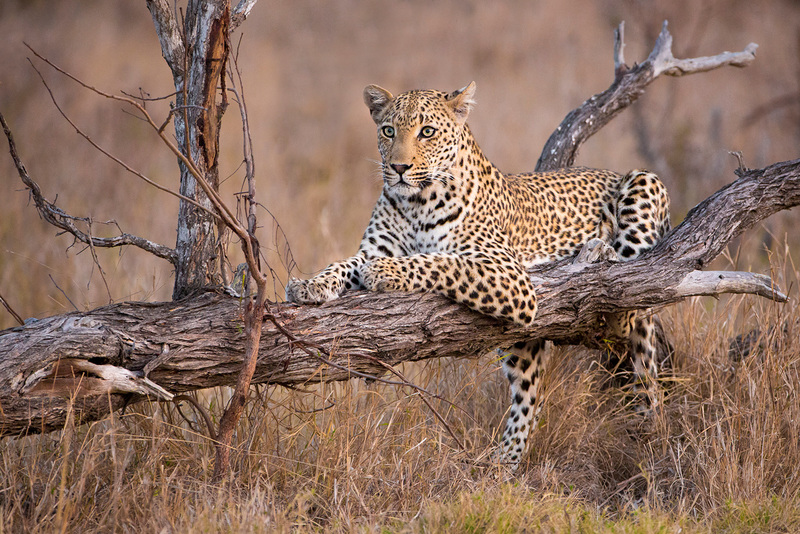 Ken and Renee will accompany you in each vehicle to give photography tuition and advice on all game viewing drives. 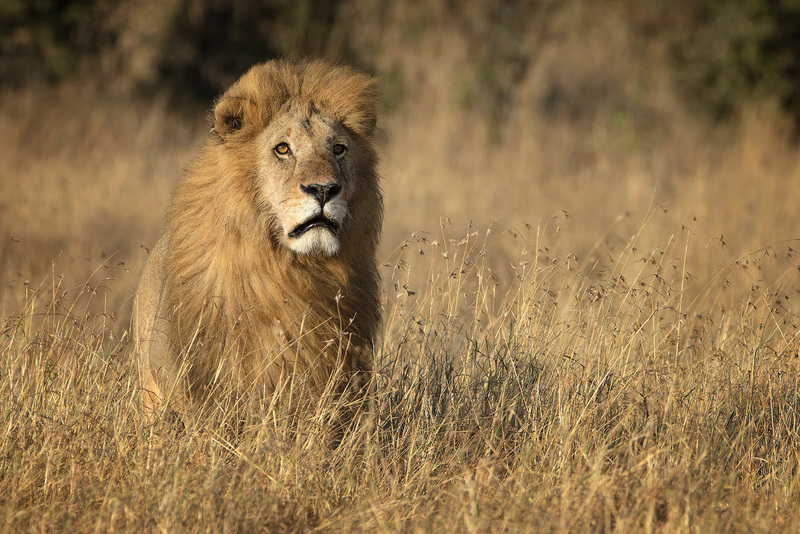 The benefits of being located within the conservancy is having the ability to go off-road for important subjects - like the abundance of big cats. 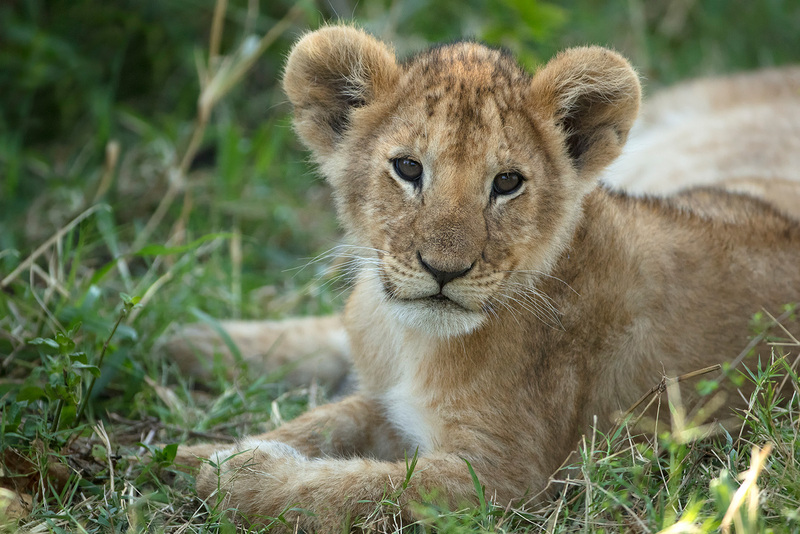 Among the big cats that you more than likely will have an up-close encounter with are Lion, Cheetah, Spotted Hyena and possibly Leopard along the banks of the river. 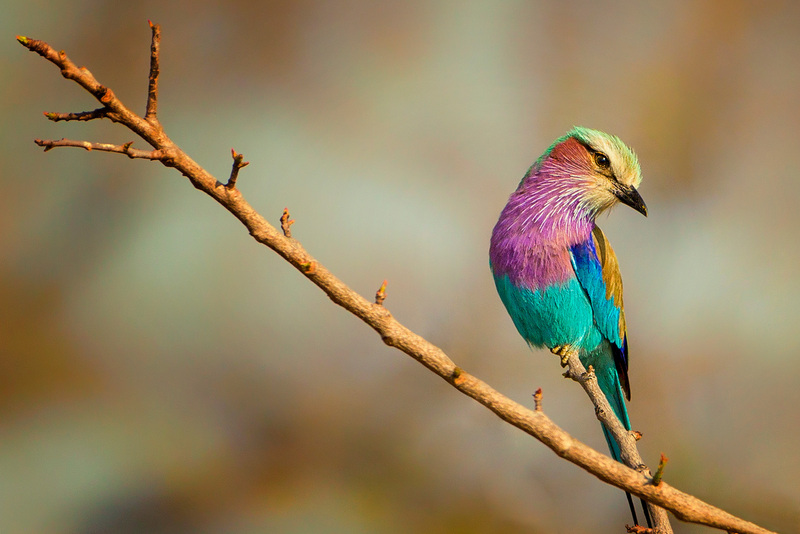 There is of course many other wildlife to witness and enjoy … Giraffe, Zebra, Topi, Wildebeest, Gazelle, Impala, Elephant, Hippopotamus, a great variety of birdlife and much more! The benefit of being in the conservancy is the low number of game viewing vehicles. We also have the complete flexibility to stay out all day should we wish giving us the opportunity to enjoy breakfast and picnic lunches out under the shade of a beautiful tree on the plains without having to drive back to camp. Of course, the option to return for a delicious lunch is always there – totally up to the group to decide. 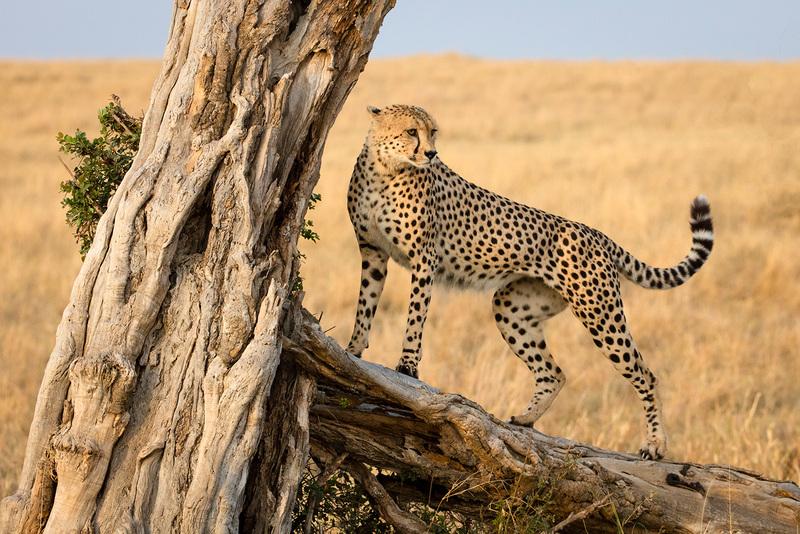 We are also only a short 20-minute drive from the boundaries of the main Masai Mara Game Reserve where we will endeavour to witness one of the many crossings of the Great Migration. Patience will be required on this day as the Wildebeest can often group up ready to cross only to get spooked and disperse – but staying and having the patience to then be rewarded with witnessing such an emotional moment is worth every minute spent sitting by the river bank. At the end of each of our days exploring and viewing the abundance of beautiful scenery and amazing wildlife in the Conservancy our excellent Silver rated guide will host a sundowner out on the wide-open planes … there is nothing quite like enjoying that icy cold beer or glass of wine watching an incredible African sunset! Day 1, August 25, 2018 (Nairobi) - We begin with an overnight stay (included – with welcome dinner) in Ole Sereni Hotel Nairobi. Our flight is early the next morning and therefore the overnight stay is necessary and a welcome relief after your long-haul journey. Day 2, August 26, 2018, (Kicheche Bush Camp) - We head to Wilson Airport early this morning to board our Bush Plane for our short 1 hour flight to our home for the next four nights – Kicheche Bush Camp. We have purchased extra seats to allow for our camera equipment. After a short orientation and safety talk we settle into our tents before joining our hosts for our first of many gourmet meals. After lunch it’s off on our first Safari. We finish our magical Safari by enjoying a sundowner on the open Mara Plains before heading back to camp. Once back in camp enjoy a lovely hot ‘bucket’ shower before enjoying our pre-dinner cocktails around the camp fire. We then adjourn to the restaurant tent for a wonderful 3 course dinner. Days 3-5, August 27-29, 2018 (Kicheche Bush Camp) - We will enjoy a further 3 full days at this outstanding camp. A typical day will begin at around 6am. Our Guide/Driver will be constantly in touch with other drivers in the different reserves and will update us on possibilities of the best sightings available. Together we will make our decisions and each day will offer endless enjoyment and create ever lasting memories. 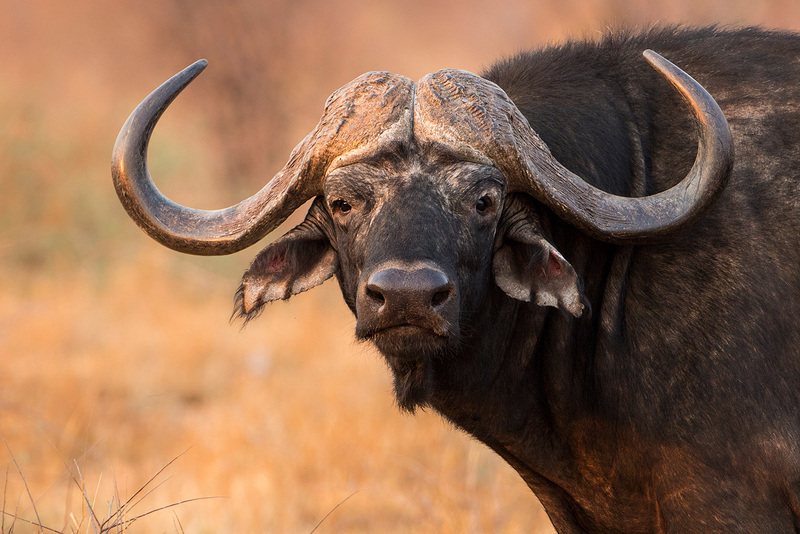 We will be out scouting for wildlife to capture them in the best possible light before breakfast, and after our early morning game drive will enjoy our breakfast out on the plains, complete with table and chairs. Each day we will be able to decide whether to stay out for the entire day – with picnic lunch and refreshments – or we can return to camp for a cooked lunch, some down time or photo critique and Photoshop sessions. Each afternoon, after our afternoon tea we will head back out to once again find the wildlife and capture them in the best possible light. 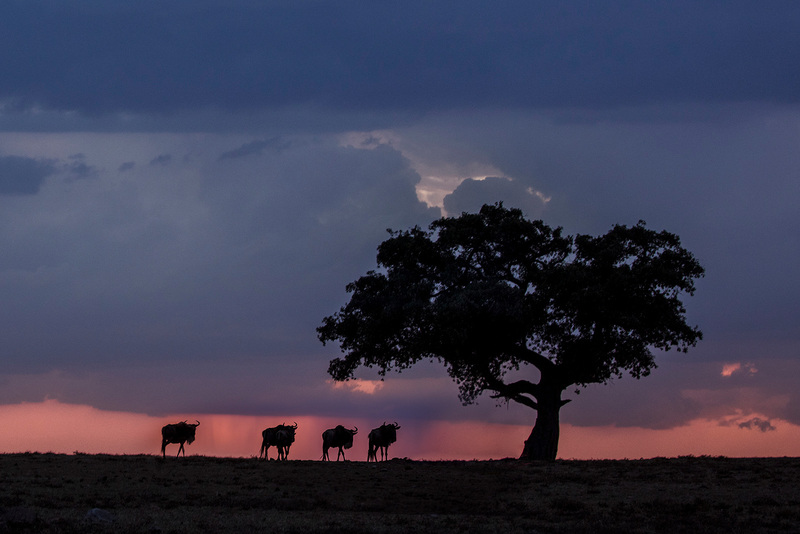 Our Safari would never be complete without the traditional sundowner out on the plains. 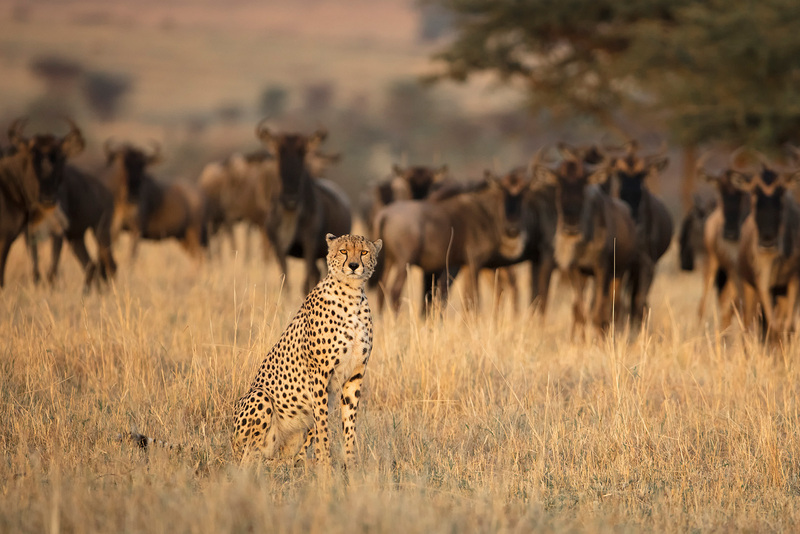 On one of the days we will head into the main Masai Mara Game Reserve to sit by the river to witness the Great Wildebeest Migration – also known as the World Cup of Wildlife! The Masai Mara And the Serengeti National Park together form what no other reserve or park in Africa can. It is an exhilarating and quite often emotion experience and one that must be experienced once in a lifetime. We will be guided by our silver guide who will be monitoring the movements of the Wildebeest as to which would be the optimum day. It is a day of patience. Quite often the Wildebeest will group and head to the river only to become spooked and disperse. A good book, hat, sunscreen and patience may be required on this day... and then again, a crossing could occur within our first half hour on the river bank. During the evenings, if the skies co-operate, we may even attempt some astro-photography. Days 6-7, August 30-31, 2018 (Kicheche Valley Camp) - After an early morning game drive and breakfast, we will be leaving the beautiful Bush Camp and make our way via a short road trip to our new home for the next 2 nights – Kicheche Valley Camp. Both camps are very similar and you will feel right at home immediately. There will be plenty of game viewing again today! The Valley camp is located on the Eastern side of the 50,000 hectare Mara Naboisho conservancy. The camp itself is in a beautifully secluded valley dotted with the symbolic Acacia tree. On Day 2 at the camp, we will enjoy another full day of game view driving, dining and soaking up the atmosphere of being in a truly spectacular part of the world! Day 8, September 1, 2018 (Nairobi) - We will enjoy one last early morning game viewing drive this morning and savor our last ‘Mara plains’ breakfast Safari style before making our way back to camp. Sadly, it is time to pack. We will have time to relax over lunch before boarding our midafternoon flight back to Nairobi. Tonight, we will share a farewell dinner together at the Ole Sereni hotel before saying our farewells. I am sure that we will have many memories to talk about and share and we look forward to seeing all your amazing images upon returning to our respective homes. Overnight at the Ole Sereni hotel. Day 9, September 2, 2018 (Departure) - Due to many different flights by participants it is up to you to make your own arrangements back to Nairobi aiport. Either we or the hotel will be able to assist you with this. If there are several of you flying at around the same time we can co-ordinate these arrangements as well. If you find someone else (a friend or family member, for example) not yet registered who would like to take your spot, you can transfer your deposit and payments to that person’s registration, provided they qualify for the trip and sign the registration form. Because we incur costs up-front, such as deposits (many non-refundable) for blocks of hotel rooms and local tour operators and transportation, if you have to cancel for any reason (medical or any other reason) you will receive refunds based on the above sliding scale (all cancellations must be in writing). No partial refunds are made for unused portions or services of a trip for any reason. Ken Koskela Photography LLC can cancel a trip for any reason, including too few participants. If this happens, you will receive a 100% refund of your deposit and payments. However, we are not responsible for any costs incurred by you, such as airline tickets and other costs. For this trip, it is compulsory for you to purchase emergency medical treatment and medical evacuation insurance, and provide us with a copy of the policy. These policies are relative inexpensive and can help protect you and prevent major medical expenses in the unlikely event that you need help while on the trip. Note that we will have exclusive use of 2 vehicles (maximum 4 participants in a vehicle) and a maximum of 7 participants in total. 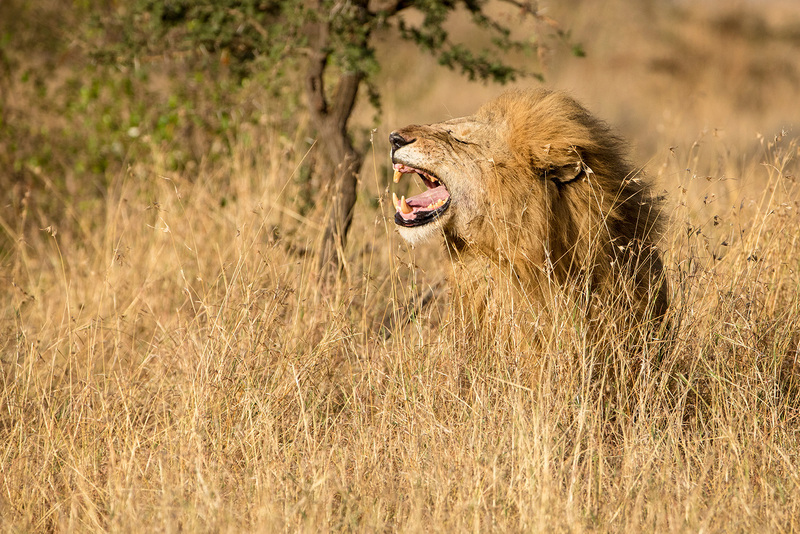 Ken and Renee will accompany you in each vehicle to give photography tuition and advice on all game viewing drives. Deposit - 20% non-refundable deposit and a completed registration form reserves your spot. Important - See "Tour Policies" (link below) for information on payments and refund policy (AS NOTED ABOVE, REFUND AND CANCELLATION POLICY IS DIFFERENT FOR THIS TOUR). Price Includes - Transfers from Nairobi airport to Hotel; 2 nights accommodation at Ole Sereni Nairobi, Nairobi; welcome and farewell dinners; wi-fi; 6 nights accommodation in 5 star luxury tents with private ensuite and flushing toilet – only 6 tents in camp; all meals (gourmet); all alcohol (other than premium spirits); all tea / coffee / bottled water and soft drinks; all game drives; park fees for our day to view the migration; return flights from Nairobi to Bush Camp; extra luggage allowance for camera equipment; laundry; wi-fi in main tent; photo tuition and critique from Renee Doyle & Ken Koskela. Price Does Not Include - Everything not noted as included, such as international flights, passport and visa costs, travel insurance, gratuities, personal items, vaccinations.